Parents and children across the country are invited to catch the current and tune in to PBS KIDS for the premiere of the first SPLASH AND BUBBLES movie event. “One Big Ocean” will launch in tandem with the PBS KIDS 24/7 channel and live stream on Monday, January 16, and air across all PBS KIDS platforms. In the one-hour special, kids will learn about marine life while also discovering the great ripple effect their small gestures can have on a much larger community. 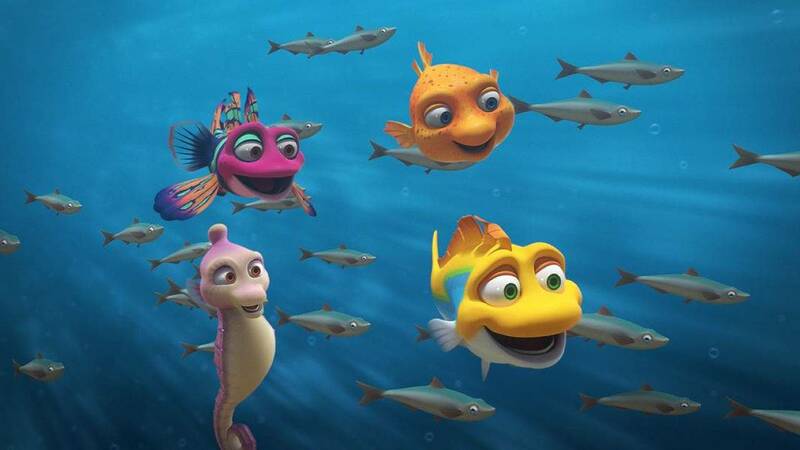 In the movie, the Reeftown friends learn that we are all part of one big ocean. “One Big Ocean” will repeat throughout the month on PBS KIDS and the PBS KIDS 24/7 channel and live stream. 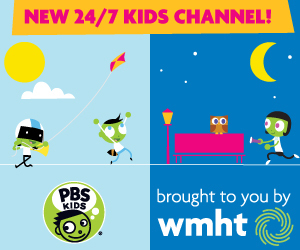 It will also be available for free on both pbskids.org and the PBS KIDS Video App, which is accessible on a variety of mobile devices and platforms such as Roku, Apple TV, Amazon Fire TV, Android TV, Xbox One and Chromecast. Additional new episodes from SPLASH AND BUBBLES will also debut throughout the week (check local listings). New digital content from SPLASH AND BUBBLES will include “Sand Art Spectacular,” a game that encourages kids to design their own sand art creations inspired by the sand patterns that some pufferfish make on the ocean floor. The game will be available the week of January 9th on pbskids.org and on the free PBS KIDS Games app. In “One Big Ocean,” Splash, Bubbles, Dunk and Ripple embark on an epic journey across the sea to help a friendly young turtle. Along the way, they learn that all creatures are interconnected and that even a small gesture can greatly affect the friends and neighbors who share the one big ocean they call home. New episodes of SPLASH AND BUBBLES will also premiere throughout the week of January 16. “Super Splash” – While playing, Splash senses something is wrong and quickly swims out of Dunk’s way as he comes in for a hard landing. The strange thing is that Splash wasn’t even looking in Dunk’s direction, so how did he know he was coming? Convinced that he has some sort of superpower, the kids begin testing Splash’s limits in a series of sneak attacks, which never work. Gush soon explains that Splash isn’t a superhero, but simply has a lateral line sense, which is common for fish. “Pearlene” – Ripple feels as though she is struggling to be part of her group of friends, then meets a shy oyster named Pearlene, who also feels isolated from those around her. Seeing how nice and kind Pearlene truly is, Ripple encourages her to “open up” to others and make new friends. She does, and finds that, despite her rocky, mucky exterior, she has a great inner beauty: not just the pearl inside her shell, but also her warmth and compassion for everyone. “Guess Who?” – Splash, Dunk and Bubbles try to help a fish that they’ve never seen before find out who it is and where its home is. “Sleepless Sleepover” – When Splash joins Bubbles, Dunk and Ripple for a sleepover in the Sandy Bed, they discover that Splash doesn’t sleep much; after unsuccessfully trying to help him, they learn that “schooling fish” don’t need as much sleep. “The Kelp Needs Help” – After putting some Asterina starfish in the Kelp Forest where they don’t belong, Splash, Ripple and Tidy must get rid of them before the starfish eat all of the kelp. “Mountain of Fire” – Dunk, Bubbles and Ripple don’t believe Splash when he tells them about a mountain that spits out fire that can be found in the water really far down in the deep. To solve this mystery, the kids find Lu, who takes them into the deep to find a submarine volcano.